Take a look at our Cutlery Catalogue. 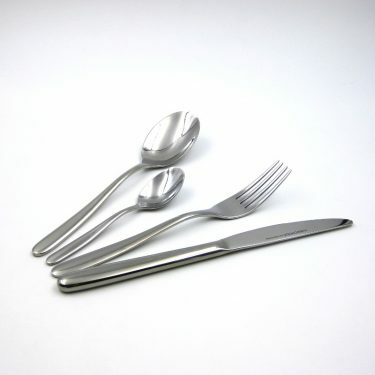 Each set comes with four spoons, forks, knives and teaspoons, perfect for your tables. All sets are made from stainless steel, with some having colored rubber-coated handles for everyday use.